The CR800 data logger, available from Campbell Scientific Aust , is a smaller version of the CR1000 data logger. The CR800 data logger provides a lower-cost data logger alternative for measurements of a limited number of sensors, yet can be used with most of the communication devices. Reduced channel numbers make the CR800 data loggers ideally suited for small to medium sized applications although they can be used for large scale applications using Campbell Scientific Aust’s range of expansion peripherals. An optional built in display is also available with the CR850 data logger model, allowing the user to view current and stored values, on-site program-editing and sensor calibrations. The CR800 data logger can provide the same functions when used in conjunction with CR1000KD keyboard display. The operating system is PakBus Software support and offered in LoggerNet or PC400 (full-featured) or ShortCut (programming) detachable keyboard/display, the CR1000KD, can be carried to multiple stations. 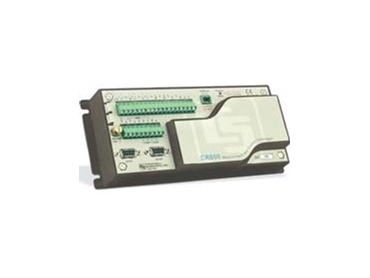 Supports Modbus protocol, SDI-12 protocol and SDM devices.